The Last O.G. 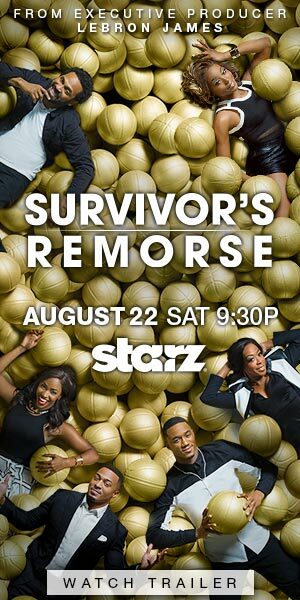 starring Tracy Morgan and Tiffany Haddish will be back soon for a second season on TBS! The series, co-created by Jordan Peele, will also see season 1 stars Ryan Gaul, Allen Maldonado, Taylor Mosby and Dante Hoagland. In season 2, after losing his job, Tray (Morgan) goes all in on his dreams of becoming a chef. Shay (Haddish) has an intriguing business venture of her own on the horizon. Gaul plays Shay’s affable husband, Josh; Maldonado plays Tray’s goofy but well-intentioned cousin Bobby and Mosby and Hoagland play Tray and Shay’s teenage children, Shahzad and Amira. The guest stars rounded up for the new season include Method Man, Rev Run, Talib Kweli and Rakim, as well as Bresha Webb (Marlon), Diarra Kilpatrick (American Koko), Anna Maria Horsford (The Bold and the Beautiful), Joshua Rivera (Escape at Dannemora), Dan Hedaya (The Usual Suspects), Brian Sacca (Wrecked) and Jack McBrayer (30 Rock). Watch the trailer below. The new season premieres in April. Robert Townsend Details Making ‘The Five Heartbeats’ A Comedy Classic! Comedian Russell Peters Preps To Drop New Special & Several New Films!